Carissimi Oratorios | Lawrence Wiliford | Dispeker Artists, Inc.
Giacomo Carissimi (1605-1674) was the greatest exponent of the Latin sacred historia (oratorio). With dramatic flair, remarkable imagination, and a verbal sensitivity equal to Monteverdi's, he brought Biblical characters vividly to life. 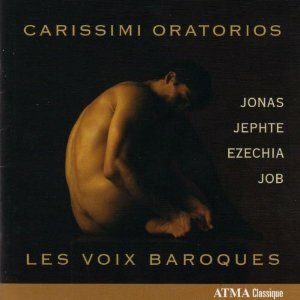 Carissimi’s oratorios, known from later copies, remain his greatest claim to fame. They were quite varied, and some may be considered to be motets in dialogue. They are difficult to date and their libretti were anonymous — Carissimi may have collaborated in writing them. With Les Voix Humanes, led by organist and conductor Alexander Weidmann.